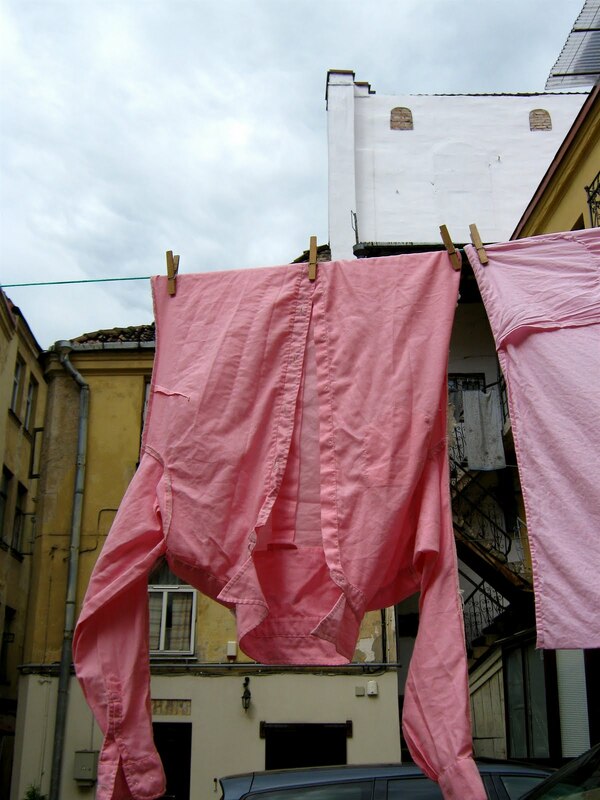 Okay, well, you might think this is weird or pervy, but I really love clothes lines. When I'm traveling, or even just making my way through my day, I love to take pictures of them. I think the clothes line tells stories. 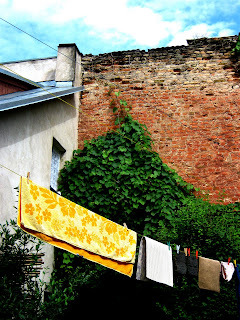 Stories about the people who live in a place, what they do for a living. Little hints as to how their lives are lived. Socks and shirts and nightgowns fluttering. Table cloths and wool socks. I dunno, I find something romantic about it. And you can't beat the smell of sheets that have dried in the sunshine. Hang yourself out there this weekend, story makers. See you back here on Monday. You are not crazy. 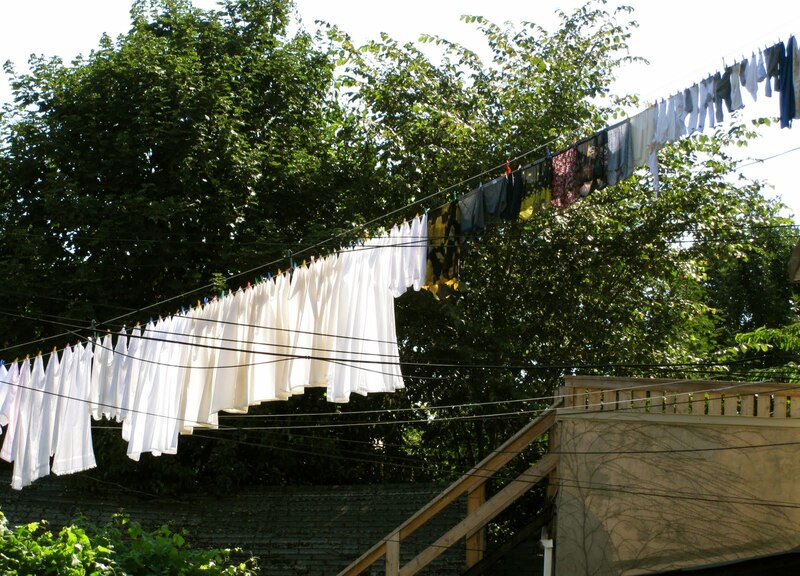 I use my clothesline all the time. However, living where I do, when Fall arrives and the leaves are off the trees, you can see my line from the main road. I have had someone comment once about seeing my "belongings" on the clothesline. Hmmm....what were they thinking when they saw a skimpy black nighty or my underclothing? :-) It was only slightly creepy that they made a comment to me. lol. but I love my line too much to care.